Lyme disease was diagnosed based on positive serologic tests and a 2-year history of violaceous skin lesions of the right calf. The lesions were diagnosed as Acrodermatitis chronica atrophicans (ACA) by skin biopsy. ACA is a Lyme disease finding in Europe. The patient recalled a history of a tick bite on the same leg 9 years earlier without a rash or arthritis. “This patient is the first case of minimal change glomerular disease associated with chronic Lyme borreliosis,” according to Florens from Edouard Herriot Hospital, Lyon, France. The patient’s nephrotic syndrome and MCD resolved with a combination of intravenous ceftriaxone and the steroid prednisolone. The leg lesions and neuropathic pain, which persisted despite 21 days of ceftriaxone and prednisolone, cleared following a second course of 32 days of IV ceftriaxone therapy along with pregabalin. This case reminds doctors of the need to recognize Lyme disease in patients with kidney disease even if an association has not been established. Florens N, Lemoine S, Guebre-Egziabher F, Valour F, Kanitakis J, Rabeyrin M, Juillard L: Chronic Lyme borreliosis associated with minimal change glomerular disease: a case report. BMC Nephrol 2017, 18(1):51. 17 Replies to "Doctors recognize Lyme disease in a patient with kidney disease"
I have stage three kidney disease and was positive for lyme disease. I did antibiotics and was tested after treatment with two different labs and still tested positive . I also had colon cancer in 2009. I am sorry to hear you have such serious kidney disease. I am glad they tried treating for Lyme disease. My 16 year old daughter who is extremely active in sports has been tested positive for Lonestar Tick Disease. Over the past couple years since her diagnosis, she has recently been experiencing extreme fatigue, been light headed, hot/sweaty, and urinates frequently. We took her to a Cardiologist where she tested positive in a tilt test. The doctor gave her Fludocortisone to try to put a hormone in her body to make her body retain water better but it has not helped. She also was prescribed metoprolol. She has been taking it for two weeks with no improvement. Since there is not a lot on the disease, I was wondering if you knew of any similar cases or if her symptoms could even have anything to do with it. Autonomic symptoms are common in tick borne illnesses. Children may be diagnosed with POTS syndrome (postural orthostatic tachycardia syndrome only to be diagnosed later with a tick borne illness. See the following Pubmed article. My son is 8. He had terrible kidney pain a few hours ago. When he was almost 3 yrs old he had severe bladder pain that led him to be hospitalized. Doctors thought it was a brain tumor, extreme pain disorder, Fabry disease…after months in a Chicago hospital, 4 weeks at Mayo, they all gave up. It was lyme disease. He has been on a variety of antibiotics for the past 4 years. I started to take him off about a month ago. Now this pain. I don’t know what to do. I am glad you are puplishing studies about this. I am not surprised Lyme and/or coninfections are causing kidney and bladder pain. My son’s urologist’s do not believe it, but I do. It can be difficult to determine each illness is connected. Various specialists have to weigh in on each issue to make sure you do not miss anything. I have had Lyme for about 10+ years my urine infection has got worse. The NHS refuse to treat more than 2 weeks. Nice guidelines talk about chronic rather than re infection. The department of health though it might recognise CE and FDA tests. NHS doctors are still in denial thinking that the illness cures itself. They only treat the condition with oral antibiotics not IV. The Big Tick Project done by Bristol University vet scientists using vets to take radium samples from dogs across the UK has found that they are wide spread. The south east and south coast and Scotland have always been bad. But there is a ridge following the M1. complain law brought in in 97. In the U.K. They just removed the legislators in 2002 Radiocommunications Agency and BT’s equivalent was closed to save money. The Mod knew back in the 50/60s that increased levels of electropollution/radiation would kill benifical insects. While leaving Tick, woodlice cockroaches and other similar creatures still alive. The Butterflies and Bees die along with us humans. Governments are more interested in money for licence fees. Industry and the military have told them. But the government think industry and the Mod can solve it. So we die of cancer and possible Lyme Disease. While we are told to eat right and take excersize. Oh and sleep when this stuff goes though our brains. who will give us a happy pill. Financing both the electronics industry and the pharmaceutical industry. There’s more money in the electronics industry than the pharmaceutical industry. The Lyme vaccine has not been invented for Humans as yet. They keep saying it’s coming soon. Animals are still using Type A OSP whether it really works. Or is just a contaminate in the food chain. As animals don’t show pain. Their herd members would attack them. A vet can’t tell if a dog has Lyme. The farmer just excepts the fact cattle and sheep have Lyme. While medical doctors don’t talk to vets. Preferring to deny there is a problem. Local councils in the U.K. Have no strategy. The NHS doctors are not telling them. One vet told the local council in Essex in 2016 that 2 dogs died of a Lyme related infection and others were made sick. They put a notice up on the field. The Chief Vet was called in he just said he could not see anything. One of the Vet scientists at Bristol University said pre-stages of Tick are hard to see. We have people in charge who don’t have the right information. Even if they are told they do nothing. Just like the London Fire a few months ago. Officials just ignore the problem when it gets that bad they have no solution. A Parks manager told me burning fields was a method of controlling Tick also. Trees have been planted in the UK so there is a natural corridor for insects and animals to move. I would think the same is happening else where. These creatures are not being contained. What preditors there were are being killed. I hope this info does something? 5 years ago I had a Hanta nephritis (with 3,08mg/dl max., the creatinine was a few month later at a normal stage (1,04mg/dl) again) In July this year, I was infected with lyme disease. I had two antibiosis but I still feel bad. I have high blood pressure, creatinine of 1,42mg/dl and proteinuria. But my doctors don’t believe that there is connection between the lyme disease and the renal insufficiency – because there is nothing in to find in the literature. I hope, you can change this. I wish you all the best for your further work. If I can support you (e.g. labor results), feel free to contact me. There is an urgent need for more research. Interesting! I was diagnosed with Lyme and chronic kidney disease simultaneously in 2013. No cause for my CKD has been identified (no high blood pressure, diabetes, etc – generally healthy). 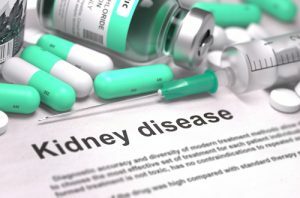 CKD hasn’t improved with Lyme treatment but hasn’t really worsened either – just high creatinine & low gfr. Lyme symptoms improved greatly but didn’t disapper completely with treatment, CKD has been holding fairly steady – not improved. I now live in an area where Lyme is very rare so just get puzzled looks when I mention it to doctors here – would be interesting and perhaps beneficial to get involved in research on this matter. I could find very little information on kidney disease in humans. It is a common problem in dog. My 54 year old brother was just diagnosed with stage 4 chronic kidney disease in Syracuse, NY. His doctor told him that it was caused by his Lyme disease. He has been healthy his entire life until this past year. He is meeting with a transplant team next week. I hope to donate a kidney to him if at all possible…but i’m worried about his heart.. If the Lyme attacked his kidneys, then it may have done damage to other organs as well. Kidney disease is well documented in dogs. I don’t see renal issue with Lyme disease in my practice. There may be other issues that led the doctor to consider Lyme disease. You may want to include a doctor experienced in treating Lyme disease in your evaluation in case it is a factor. I now have cystic kidney disease. The first cysts were discovered when I received my first round of IV rocephin many many years ago. My urologist wasn’t concerned about them and my radiologist followed them annually. I still have some Lyme symptoms from time to time however my LLMD in Florida retired so I haven’t had treatment for chronic Lyme for a long time. My thought is that if there is a connection of kidney disease and Lyme in dogs, it makes sense to me since we are both mammals that there must be a connection. I wonder why insufficient research in humans has been underway. I have an appointment with a nephrologist the end of November (first available appointment) and I imagine he will pooh pooh this possibility. I miss NewYork dreadfully if you catch my drift. Warm regards , Joan O’Brien -Singer. It have also had a interest in the renal failure seen in dogs. I have not see renal disease in my practice but I am not a nephrologist. I am 64 year old female who has also been been diagnosed with cystic kidney disease; incidental finding of cysts in my kidneys and liver on an abdominal CT for other symptoms. My kidney function labs are WNL. I have had Lyme disease and Babesiois for 24 years but not treated promptly. Seeing geneticist currently to test for genetic mutation for PKD, however there is no one in my family with it now I am curious about the connection with Lyme. Dogs with tick borne illnesses commonly present with severe renal disease. I have not seen the same problem in humans. I posted a review of the article to encourage professionals to take a second look at the topic.